Making waves as a possible contender to regulate online poker and gambling this year, Connecticut saw those waves become a mere ripple as the 2018 legislative session came to a close on May 9 without passage of a bill that would allow Connecticotians to gamble online. A strong start to 2018 was made possible by the potential pairing of igaming with sports betting legislation in the US. 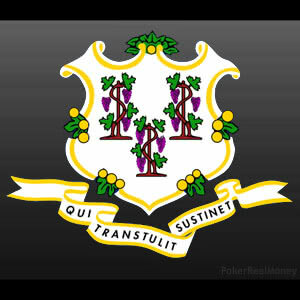 Added to the mix was undeniable support for both from the Mashantucket Pequot and Mohegan tribes, leading many to believe that progress would be made sooner rather than later on regulation that would make Connecticut the fifth state to legalize ipoker. But those hopes were dashed with the strike of a gavel, putting regulation on hold until 2019. Of course, lawmakers could be called back for a special session sometime in 2018, a possibility whose chances were a longshot but became a little better with the recent US Supreme Court decision that allows states to offer their residents legalized sports betting. That ruling in Murphy v. NCAA handed down on May 14 will likely prompt many states to get on the fast track with regard to sports betting legislation. Some state legislatures had already drafted bills in anticipation of a favorable ruling by the high court. Whether it’s enough to get Connecticut lawmakers to reconvene at an unscheduled session remains to be seen. However, a press conference earlier this year that included House Majority Leader Matthew Ritter and House Speaker Joseph Aresimowicz focused on bringing sports betting to the Constitution State. A willingness to add online poker and gambling to the package was fortified a month later at a public hearing when a Foxwoods Casino representative cited the success of New Jersey’s igaming regime in providing safety to consumers and increasing revenue for state coffers. While the desire and willingness of Connecticut stakeholders and legislators appears to shift the needle to the side of an eventual positive outcome, there remain several issues to iron out first. The lack of a comprehensive bill that takes into account all of the matters at hand pertaining to gambling is one such bone of contention that needs to be addressed. Aresimowicz referred to the gambling issues involved as a lot of moving parts. Another sticking point that’s hindering gambling expansion in Connecticut is the US Department of Interior’s failure to approve or deny amendments made to the compact between the state and its two tribal concerns. The delay is holding up the construction of a casino in East Windsor, Connecticut that would likely siphon customers from a new MGM Grand Casino in nearby Springfield, Massachusetts that’s set to open its doors later this year. A lawsuit and a federal investigation are underway over the issue that may result in ethics violations. A decision in the case could drag on indefinitely. In any event, the fact that the state’s gaming interests see eye-to-eye is a definite plus. So too is the ruling that permits states to forge ahead with sports betting legislation. Let’s also add that Connecticut lawmakers have a better understanding of the gambling issues at hand. It’s likely not in the cards for Connecticut to pass online poker and gambling regulations in 2018 following the close of the legislative session a few days ago. But igaming approval does appear to be more of a when than an if in the Constitution State.